As I write, Borderlands 2 is about seven hours away from release in North America. Eee! But before letting it march out of pre-purchase prison at midnight, Gearbox had to jingle the cell keys one last time. 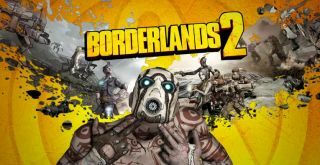 That stretch of a metaphor of course refers to today's launch trailer, which pretty much summarizes Borderlands 2's beginning, middle, and end: Handsome Jack is introduced as a Very Bad Man, the heroes assemble, and an army of robots and shirtless men try to trample them. Then a double-gun-finger logo suicide, naturally.